9:7 When it was told to Jotham, he went and stood on the top of Mount Gerizim, and cried aloud and said to them, “Listen to me, you lords of Shechem, so that God may listen to you. 2:18 Children, it is the last hour! 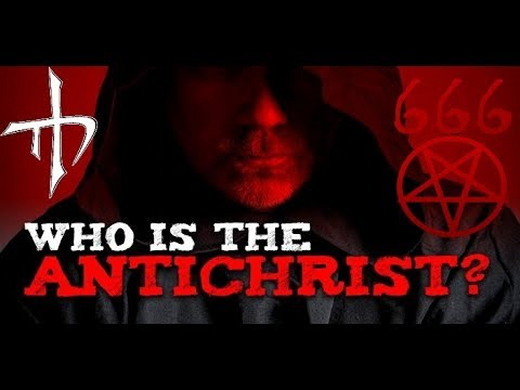 As you have heard that antichrist is coming, so now many antichrists have come. From this we know that it is the last hour. 19 They went out from us, but they did not belong to us; for if they had belonged to us, they would have remained with us. But by going out they made it plain that none of them belongs to us. 20 But you have been anointed by the Holy One, and all of you have knowledge. 21 I write to you, not because you do not know the truth, but because you know it, and you know that no lie comes from the truth. 22 Who is the liar but the one who denies that Jesus is the Christ? This is the antichrist, the one who denies the Father and the Son. 23 No one who denies the Son has the Father; everyone who confesses the Son has the Father also. 24 Let what you heard from the beginning abide in you. If what you heard from the beginning abides in you, then you will abide in the Son and in the Father. 25 And this is what he has promised us, eternal life. This is the antichrist, the one who denies the Father and the Son.